KICK-OFF 2019: Welcome to join us at our 2019 Kick-Off on Wednesday 23 January. Both LNCC and LPO will report briefly on 2018, and tell you about plans in 2019. 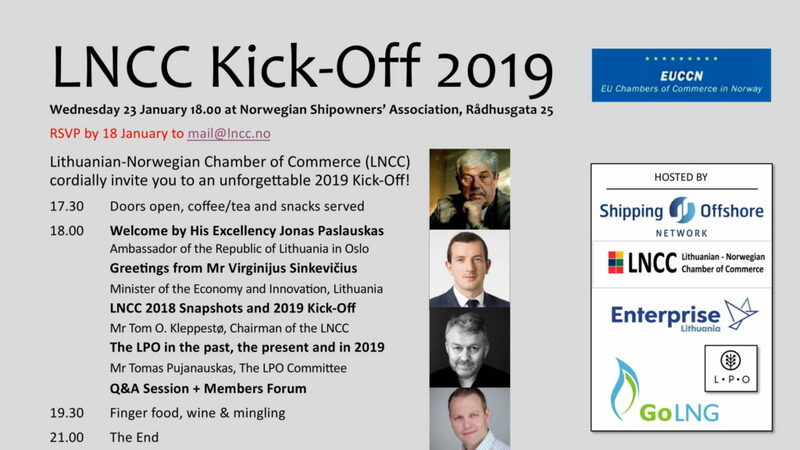 Our chairman, who is General Manager of Shipping & Offshore Network, will tell you about Go LNG, the Interreg project that has its base in Klaipėda and 19 partners in the Baltic Sea Region. And there will be food, drinks and mingling.